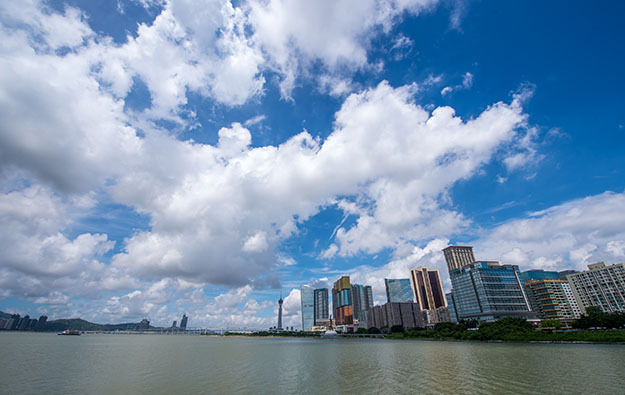 A Tuesday noted issued in Hong Kong by Deutsche Bank AG cut the 2019 gross gaming revenue (GGR) year-on-year growth outlook for Macau from 11 percent to 4 percent, reported Bloomberg News. The bank reportedly cited concerns about the VIP segment and suggested Macau was at the start of a downward earnings revision cycle. The institution put a “sell” recommendation on two Macau operators, Galaxy Entertainment Group Ltd and SJM Holdings Ltd. According to Bloomberg’s report, the institution said the “current downcycle is similar to the late-2011 to mid-2012 slowdown when GGR growth sharply decelerated to 6 percent year-on-year from 20 percent year-on-year”. The same day there was a significant sell off in the stocks of the five out of six Macau gaming operators listed in Hong Kong. The declines ranged from 3.28 percent for Wynn Macau Ltd, to 7.42 percent for MGM China Holdings Ltd. Galaxy Entertainment had dipped by 5.69 percent on the day, and SJM Holdings by 6.44 percent. Bloomberg additionally reported on Tuesday that the Macau index of casino shares had fallen 37 percent since the end of May, and had dropped every day but one this month despite an outperformance in GGR for August. Macau GGR had risen 17.1 percent year-on-year in August to nearly MOP26.56 billion (US$3.29 billion), the highest monthly tally so far this year, and the second-highest monthly tally in more than 36 months. Japanese brokerage Nomura noted in a Monday report that since early June the Macau gaming stock prices had shrunk by between 20 percent and 30 percent, “with much of the decline over the last five trading days”. “We believe the decline to be somewhat justified given fears over an extended and more damaging trade conflict, but also believe it’s overdone,” said analysts Harry Curtis, Daniel Adam and Brian Dobson. “Several operators we spoke with over the past few days said that their sequential VIP volumes have been increasing over the last six weeks,” said the Nomura team. “VIP growth has decelerated, but to a more measured rate, which has a silver lining in that excessive growth attracts the attention of Beijing,” it added. On Monday a memo from brokerage Sanford C. Bernstein Ltd’s Hong Kong office forecast a relatively bearish 8 percent to 11 percent GGR growth in September, citing a relatively slow start to the month. Sanford Bernstein has in any case for several months expressed caution about what the headline monthly GGR number means in terms of business performance; particularly in relation to the split between the higher-margin mass segment, and the higher-volume but more politically contentious – in Chinese terms – as well as lower-margin, VIP segment. The brokerage in July also forecast 4 percent growth for Macau casino GGR next year, citing expectations for decelerating VIP gambling. Several commentators had mentioned recently to GGRAsia that United States-China trade relations might have raised investor worries about Macau stocks, even though Macau is a member of the World Trade Organization in its own right.